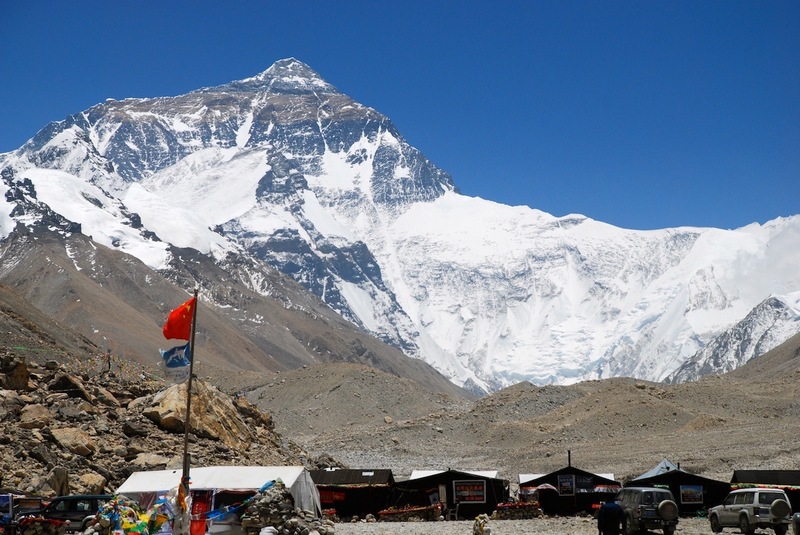 Home / Tours / Uncategorized / Everest. Tibet. Day 1. Arrival at Kathmandu and transfer to hotel. Day 2-3. Visa Procedure for Tibet. Day 4. Drive to Kyerong. Day 5. Drive to Old Thingri. Day 6. In Old Thingri for acclimatization. Day 7. Driving to Everest BC (5200m/16640ft). Day 8-12. At the Base Camp to acclimatize and preparing loads for advance base camp. Day 13. Moving from Base Camp to the Intermediate Base Camp (6200m/19840ft). Day 14. To Advanced Base Camp (6400m/20480ft). Day 15-54. Moving to Summit for summit attempt. Day 55. Advance base camp to base camp. Day 56. Driving to Kyerong. Day 57. Driving to Kathmandu. Day 58. Departure from Katmandu. Arrival & Departure Airport transfers – Airport/Hotel/Airport. 1 High Altitude Climbing Sherpa (Everest Summiter) for each member. Nepalese cooks: 1 to 1 for BC and ABC. Kitchen workers (Tibetans): – 1 for BC and 1 for the ABC. All Necessary Yaks from BC – ABC – BC. High Altitude food for member & staffs. High Tent – 1 for 2 members. 6 bottles oxygen (4 Ltrs each bottle) with mask & Regulator per member (Regulator only for use). 3 bottles oxygen with mask & Regulator per Sherpa. Sherpa’s Bonus. (During their working period up to high camps). Hotel after 4 nights stay in Kathmandu. If clients have to enter Tibet via Lhasa. They have to issue KTM – LHASA – KTM flight ticket themselves & have to pay extra money during Lhasa stay. Per day USD 200 per person.